The Hope Boxes, each about the size of a shoebox, are filled with supplies such as toothpaste, toothbrushes, socks, school supplies and toys. “I am so humbled by our residents, community, and team members for their support of the Hope for Appalachia charity mission this year. We were able to send 75 Hope Boxes, more than we have ever sent before, to some of the most underprivileged children in America. I am truly grateful to everyone who participated,” said Deidre Yates, executive director of Legacy Village at Plantation Manor. First Newark Baptist Church and the wider Thomasville community assisted the Legacy Village at Plantation Manor staff, residents and families in lifting up the disadvantaged children of Appalachia with their donations of gifts, time and work. Hope for Appalachia is a collaborative group of churches, businesses and individuals who deliver the boxes to the impoverished communities. Teams based in North Carolina, Kentucky and Virginia coordinate an annual trip to serve the children and their families. We were able to send 75 Hope Boxes, more than we have ever sent before, to some of the most underprivileged children in America. I am truly grateful to everyone who participated. PHOTO CAPTION 1: Legacy Village at Plantation Manor residents (left to right) Charles Tucker, Ester Myers and Shirley House assemble boxes for Hope for Appalachia. PHOTO CAPTION 2: Legacy Village at Plantation Manor residents (left to right) Diana Lipe, Doris McLendon, Shirley House, Juanita Meison, Elizabeth Moats, Charles Tucker and Tim Sheffield prepare boxes for Hope for Appalachia. Located on a picturesque tree-lined street in historic Thomasville, Legacy Village at Plantation Manor provides a secure, attentive, homelike atmosphere while offering a full range of helpful services to those looking for a senior living community in Thomas County, Ga. The personal care and Alzheimer’s memory care facility in Thomasville, Ga. is among the region’s most innovative. Legacy Village at Plantation Manor has set the standard for senior housing and retirement services in Thomasville, Ga. and the Thomas County, Ga. area. More information is available at (229) 227-0880 or www.legacythomasville.net. Legacy Village at Plantation Manor is part of a family of senior living communities throughout the Southeast owned and/or operated by Legacy Senior Living, of Cleveland, Tenn. Legacy Senior Living specializes in offering independent living, assisted living, and Alzheimer’s care services. More information is available at legacysl.net. THOMASVILLE, Ga. (March 26, 2019) - Legacy Village at Plantation Manor caregiver Jerry Stewart has been named the facility’s annual Extra Mile award winner. “I could not think of another team member who consistently goes the extra mile for our residents like Jerry Stewart does," said Deidre Yates, executive director of Legacy Village at Plantation Manor. 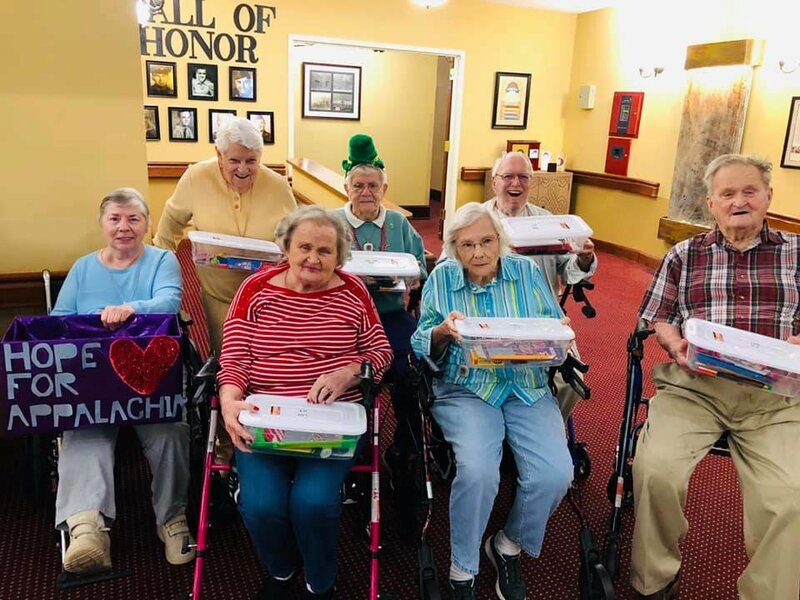 THOMASVILLE, Ga. (March 13, 2019) - Legacy Senior Living recognized team members and residents at Legacy Village at Plantation Manor during a special visit. THOMASVILLE, Ga. (Feb. 13, 2019) – Heather Caldwell has been named dining services director of Legacy Village at Plantation Manor, a personal care and memory care community serving Thomasville, Ga. She will oversee ongoing recruiting and training of dietary staff to ensure that residents enjoy healthy, great-tasting meals and a satisfying, uplifting dining experience. THOMASVILLE, Ga. (Oct. 8, 2018) – Meagan Salter has been named life enrichment coordinator of Legacy Village at Plantation Manor, a personal care and memory care community serving Thomasville, Ga.